According a recent article on TMC the EVE-O forums are a place of great trolls and no value. Sometimes however you can find little gems in the vast amounts of ~good~ posting. In the comment thread to the announcement of ATXII an obvious forum alt posted some interesting points about general issues with the Alliance Tournament format. Go read it before you continue. As I recently learned I can’t write about things that are not declassified (yet) without getting idealists angry at me in their dream castles so I will use data from the great guys over at null-sec.com. Hopefully the writer of the original post reads this blog as well as he seemed very into EVE’s esport – next time use your main! As long as I have cared about the Alliance Tournament, CCP has charged an entry fee. It used to be a fixed ISK value, but nowadays an auction with PLEX is used instead. It is a good and easy way to get teams in the tournament that are serious about their participation and not participating for the laughs. If you want to burn at least 5 bil ISK in PLEX for a laugh you can surely find easier things in New Eden, probably even with a greater crowd to watch and take part. The silent auction however can be a problem and hilarious the same time. There is a rumour that during the first New Eden Open a team captain just threw 30 PLEX in the auction to secure their slot. Later during the auction CCP had to give away the last slots for free. In many alliances the tournament budget comes only from the team members and interested alliance donators. For the 64 participating teams of ATXI 710 bil ISK of damage was done, an average of 11 bil ISK per team. After adding the entry fee you are looking at a minimum budget of 20 bil ISK. While this sounds like a high number, it really isn’t. For your training and testing you need at least one full team along with some theorycrafters. After one-two weeks running Incursions (a good way to train your logi pilot) you can easily fund your entry fee and ships for the first few rounds, making a little bit over the costs of one PLEX per team member. This is interesting for new teams especially. Established teams can do this in WH space as well, hiding some of their activity from interested eyes. 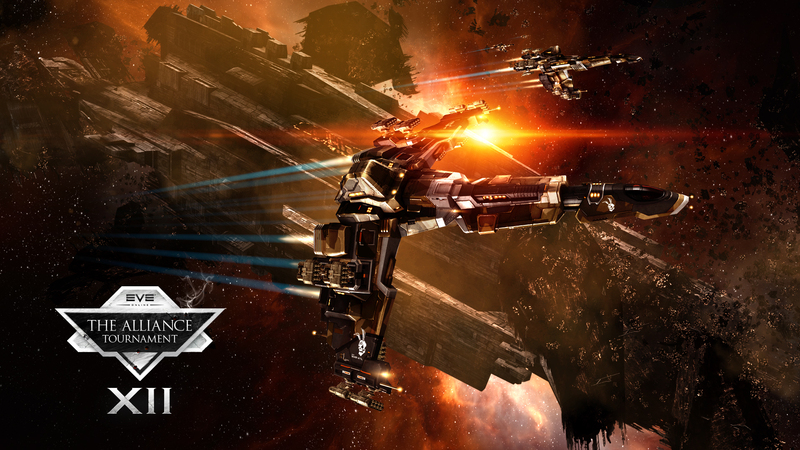 CCP has changed some rules to enable teams to play with a lower budget. Permitted hardwirings were trimmed from 5% to 3% for ATXI so a pod is around 100 mil instead of the common 500 mil pod in the previous years – a burden when you have to change implants for every concept you want to field. Tournament ships are no match winners. Fortunately. Both Pandemic Legion and HYDRA RELOADED fielded tournament ships in ATXI along with several other former winners and richer teams as well. Over the four final matches there was exactly one tournament ship used, an Adrestia. And the team that fielded it, lost the match. None were used in semi-finals of the loser brackets. Three were used in the semi finals of the winner bracket, although two died in the process. When you look at the matches it shows you that the tournament ships could have been easily replaced with standard ships with similar results. These ships are meta-material – they create nightmares in your opponent’s head, especially when you know what ships and in which number they have them available. You can make your opponent scared of a special ship that he tries to counter with his fleet only for you to fly the best counter to that proposed counter. Mindgames 101, but no match winners. Due to the limited supply of those unique ships and the demands of a small elite group of collectors, the prices of good tournament ships can be dictated by winning teams. This can further be increased by using lotteries to monetize some of their prizes. This enables other well funded teams to get hold of some of those ships as well and add them to their hangars. Due to this mechanic most of the top teams have all ships available in reasonable numbers. Some of these ships are pretty weak for a tournament environment, rendering them useless in the 125km bubble. I prefer to see those ships used and exploded rather than collecting dust in some collector’s hangar – a double-edged sword for sure. Flagships fall in the same category as tournament ships. As CCP publishes what ships the different teams use you can also play mindgames with your opponents. And if they field their flagship and you kill it, destroy some options for future encounters. Unfortunately the stats page is not available currently. If I remember correctly around a dozen flagships were fielded during ATXI and quite a few died, although sometimes the commentators didn’t announce them all. Far more important than the fitting itself is the pilot. Flying at the edge of what is possible, you are also piloting a ship that cannot be replaced. And no matter how good your flagship is, when the rest of your setup is bad, you still won’t be able to win. Over time this will generate problems for alliances, feeling they cannot compete ISK-wise. Maybe a stricter rule on fittings might counter it, allowing only faction/complex modules. There is not much I can add to this discussion that hasn’t been said already. It happens. It happens a lot. Good pilots and theorycrafters will get poached from successful teams and there is nothing that can be done about it. Being able to compete on a high level and get the chance to win the trophy is the dream of any serious tournament player. Even with all the issues that have been pointed out by Drajnul, the competition in ATXI was a lot higher than in any previous tournaments and I expect no less for ATXII. Newer teams performed well in NEO2 and other teams increased their quality. As long as competition is high, matches are thrilling and ships are dying there is no reason to make dramatic alterations to the Alliance Tournament. This might eventually solve the tournament ship problem in the long run. 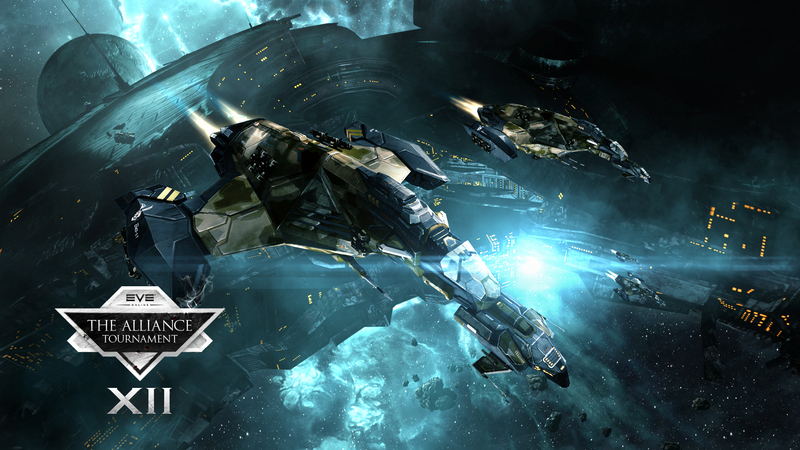 Not enough ISK to compete is a weak excuse when CVA can afford it!